SES S.A. is executing on its pronounced growth strategy with the procurement of three new satellites, SES-14, SES-15 and SES-16/GovSat, all to be launched in 2017. As announced on 16 February , SES has ordered three next-generation satellites, SES-14, SES-15 and SES-16/GovSat, the latter together with the Luxembourg Government in a new joint venture, LuxGovSat. The satellites are using the newest spacecraft technologies, leading to optimal performance and highest efficiency and allowing SES to address the accelerating needs of fast growing markets where SES is already well positioned. 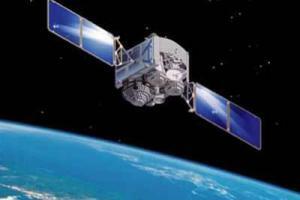 The satellites will be manufactured by Airbus Space and Defence, Boeing and Orbital AKT, respectively. The new orders bring the total number of SES satellites currently under procurement to seven, out of which six are delivering incremental growth capacity. SES-14 and SES-15 are both powerful hybrid satellites, using Ku-, Ka- and – in the case of SES-14 – also C-band in wide-beam and high-throughput (HTS) technology and a purely electric propulsion system that significantly enhances the satellites’ economic efficiency thanks to the enhanced payload that can be carried as a result of the reduction in fuel mass. SES-16/GovSat is a state-of-the-art multi-mission satellite with high-powered and fully steerable beams for government missions. It will be owned and operated by LuxGovSat, a new joint venture between SES and the Luxembourg Government.